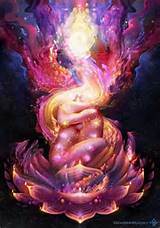 Twin Flames partnerships can be challenging simply because they are fresh energies on the planet. As an illumined Twin Flame, I alchemize at the leading-edge of the new relational paradigm, with expertise in Twin Flames partnerings. In alignment with my life purpose, I embody, emanate and model New Earth templates to equip, empower and champion those who are navigating Twin Flame connections. I draw from personal, professional, spiritual and intuitive wellsprings of experience to serve you from this frequency. It’s time. Your moment to shine in powerful partnership with your Twin is NOW. You can do this. Spark your Twin Flame Union! * It’s easy to schedule an appointment that is customized in-the-moment just for you and delivers the precise information you need to take your next evolutionary leap as an individual and in your sacred partnership. 1. Click on one of the green buttons above to secure your appointment. This takes you to my PayPal portal where you can pay with Paypal or a credit/debit card. 4. We meet via Skype. I will call you on the day and time of your appointment. 5. You leave with a big, fat smile on your face and big, fat joy in your heart.